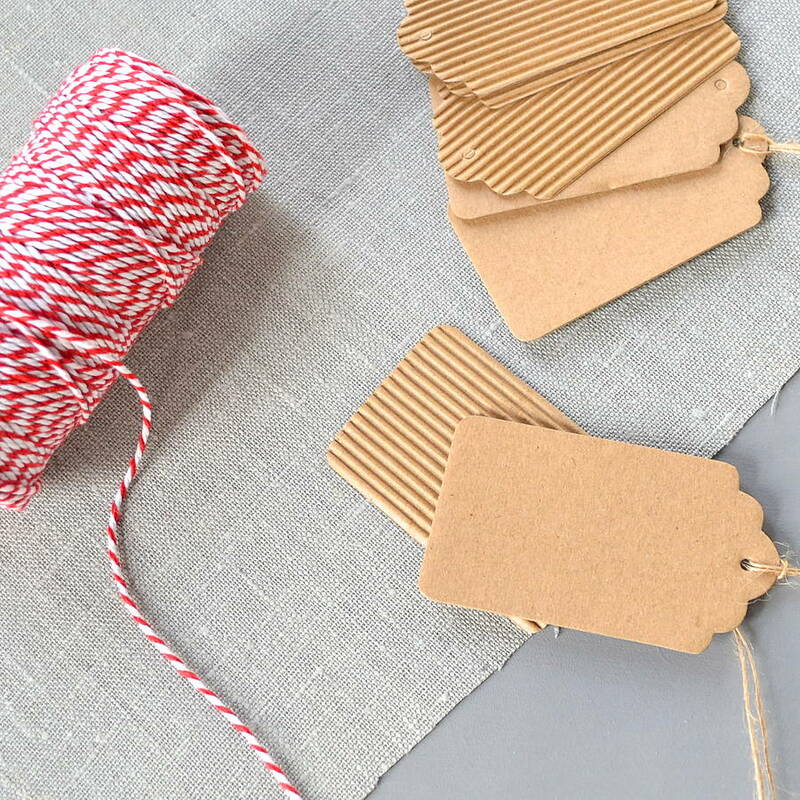 Carefully crafted corrugated card luggage labels, with jute twine accompaniment. 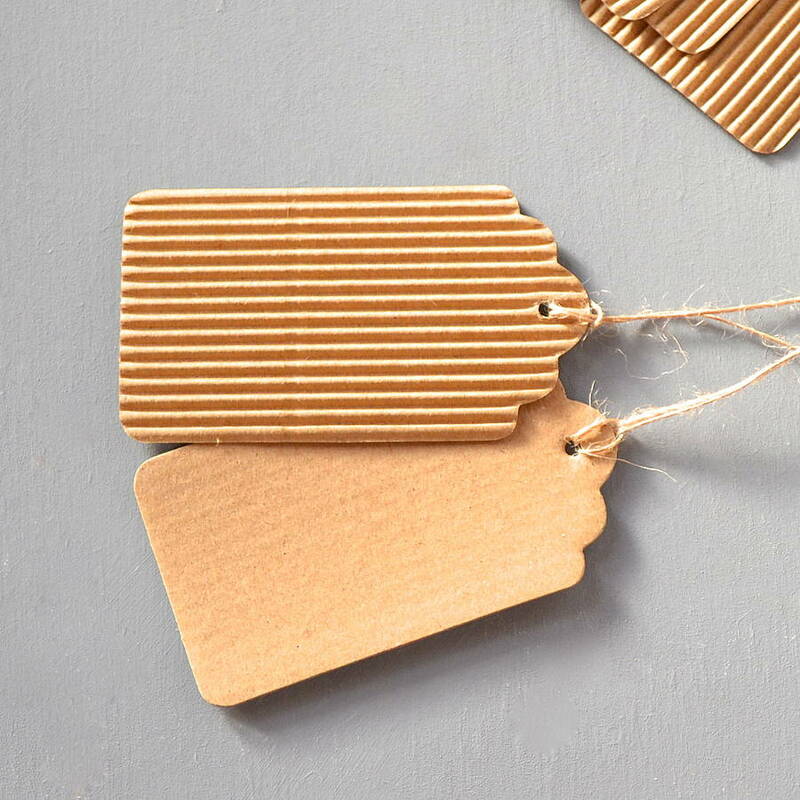 These Corrugated Luggage Tags are a truly unique way of adding something different, whether you use them as part of finishing touches for your special day or for craft activities and gift wrapping. 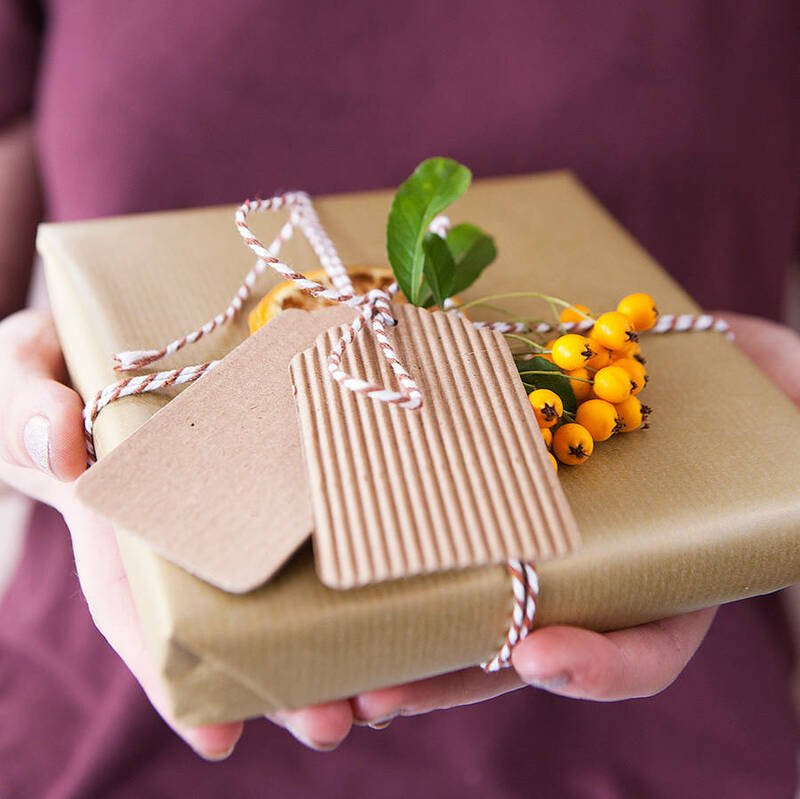 Ideal for place settings and table numbering, as a decorative table adornment or used as gift tags for wedding favours, these labels are perfect for adding that truly personalised touch. 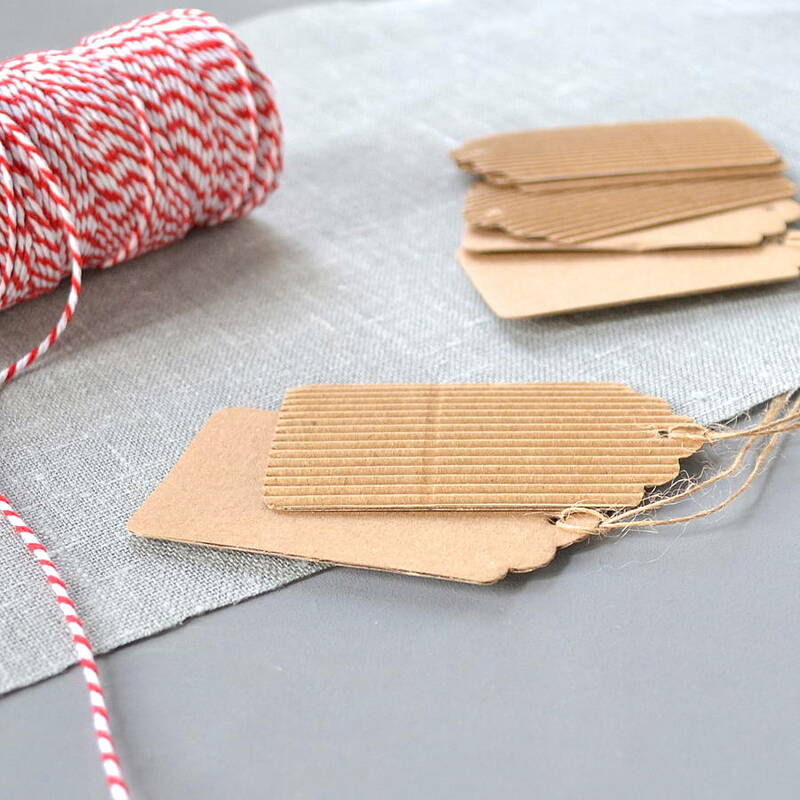 Each label comes with a flat, writable face, and rustic attaching twine (comes unstrung with your labels), making it an ideal accompaniment for any vintage or retro setting. Our corrugated labels come as standard in a pack of 10. You can see our full range of Luggage Tags and Labels via the Clouds and Currents link or the 'see seller's complete range' link, both available on this page. Crafted using corrugated card, with a jute twine accompaniment.